Building an outdoor space is one of the easiest ways to create a space where you can enjoy the changing seasons and moods of the day. Decide how you want to use your outdoor space. Is it a space where you want to sit and read quietly? Do you want to create a place for children to play or an entertainment area for family and friends? Considering the location is important too! You don’t want to create a space where it is exposed to extreme elements or a place where there is little access or exposure to the sun. The secret is to locate your space where you and your friends naturally gather. Even if you use your outdoor space during the warm weather months, a natural feature such as pond, lake, or other ornamental features such as few beautiful pottery placed carefully can provide an inspiring feature during the cold wintry days. The size of your space is very important and should be in scale with the size of your home. Integration is the key, and an outdoor space next to the home should extend the rhythm and feeling of the inside of your home. How can you create or mimic the interior of your home outside? Try using the similar plant containers that you are currently using on the inside of your home. Another idea is to use consistent colors of your flooring used in your house with an outdoor flooring material. Use evergreens to screen unpleasant views and provide privacy. I think attractive walls and trellises are also great decorative enhancers as well. Also the water element using a pond or fountain is always a welcome attraction. If you need other ideas call us today at 1-888-280-8318 or email us at interiors@kreativeways.com. Got Decorative Plates? Why Not Display Them? Plates are an inexpensive, colorful way to add decoration to a room. Take your most attractive ones out of the cabinets, and use these ideas to display them in your home. Use plate hangers to arrange an arch of plates above a bed, the mantel, or a doorway. Purchase small easels or specialty plate easels, so you can display decorative plates on any shelf or table. Display plates, bowls, and glasses neatly in a glass-fronted cabinet. To add extra drama, paint the interior of the cupboard in a contrasting color. Items will pop and look especially beautiful. Plate easels can also be employed in the glass cabinets so you see the decorative front part of the plates, instead of just the sides. Line your plates up artistically on a counter. Hang solid-colored plates on a patterned wall. The solid colors will really pop. 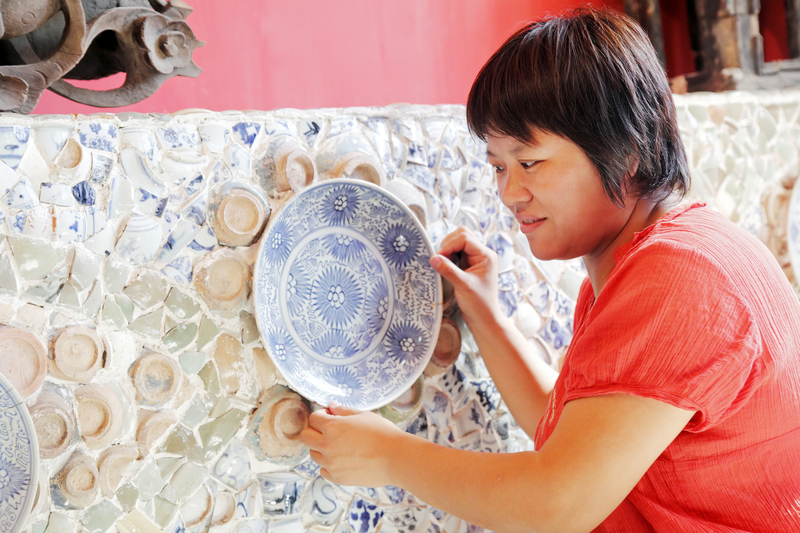 But if the plate has an intricate design, make sure you hang it on a solid background. Arrange plates and bowls on open, stacked shelves. Distribute color and size around the arrangement evenly. Coordinating dishes can be displayed on a specialty plate rack, and hung as artwork. To add a touch of formality, arrange plates on the wall in a symmetrical pattern. Make use of your unmatched dishware. Place single plates under plants as decorative saucers. Use an odd teacup or bowl for a flower arrangement. Use a pretty plate in the bathroom as a soap dish. The right lighting will add drama to any plate display. Make sure that room lighting is not pointed directly towards a hanging plate, or it may cause a glare. Turn on the lights in the display cabinet. If your cabinet doesn’t have lighting, you can install low-voltage lights, or even attach an inexpensive stick-up type. Consider decorative plates for your outdoor space or patio. 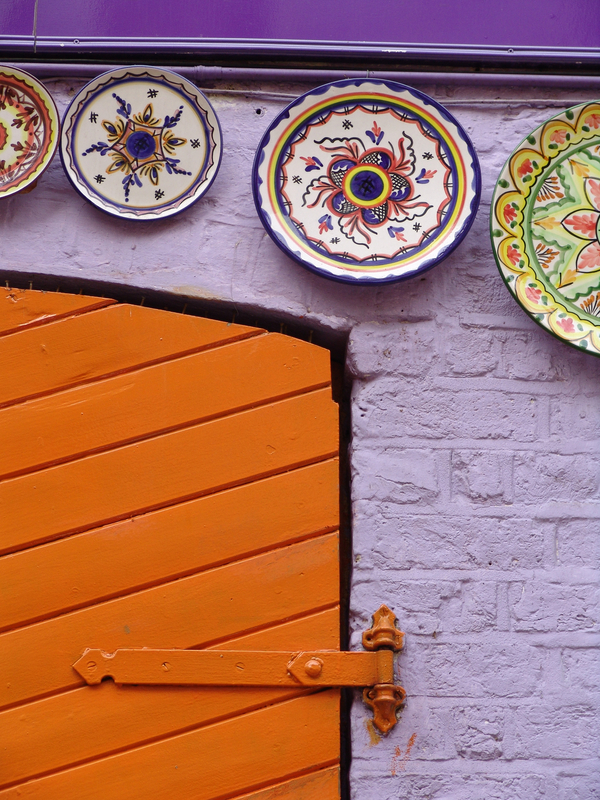 Decorative plates can add color and punch to any outdoor space. It’s a shame to keep beautiful tableware out of sight. Find unique ways to display your items so you and your guests can enjoy them every day. For more tips to inspire your space, sign up for our newsletter, Kreative Koncepts and download our FREE Six Tips to Creating a Feel Good Space exclusive interview with me here. 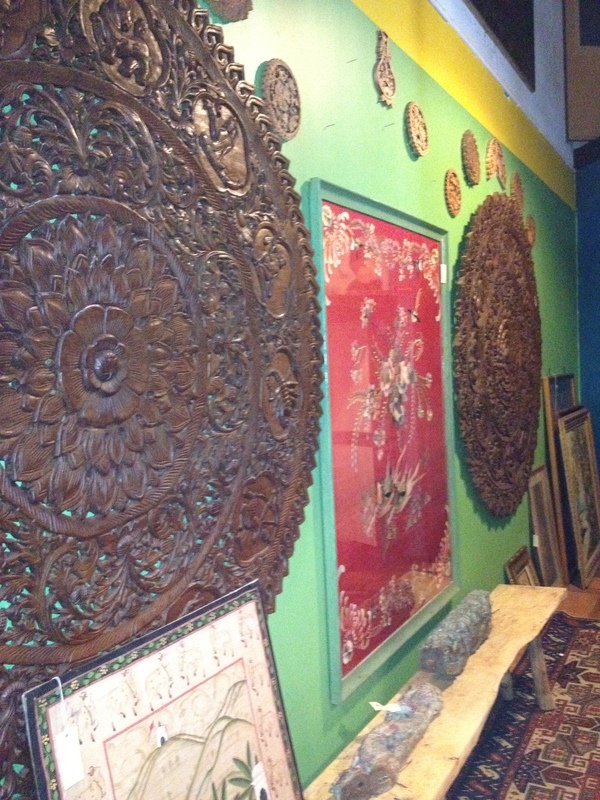 Indigenous wall sculptures and artwork create very imaginative interiors. My Memorial Day weekend was spent in the City of Brotherly Love- Philadelphia. There I visited one of my FAVORITE places to view ethnic furnishings and get inspired to create one of a kind interiors with Moroccan, African, Indian, Turkish furnishings. 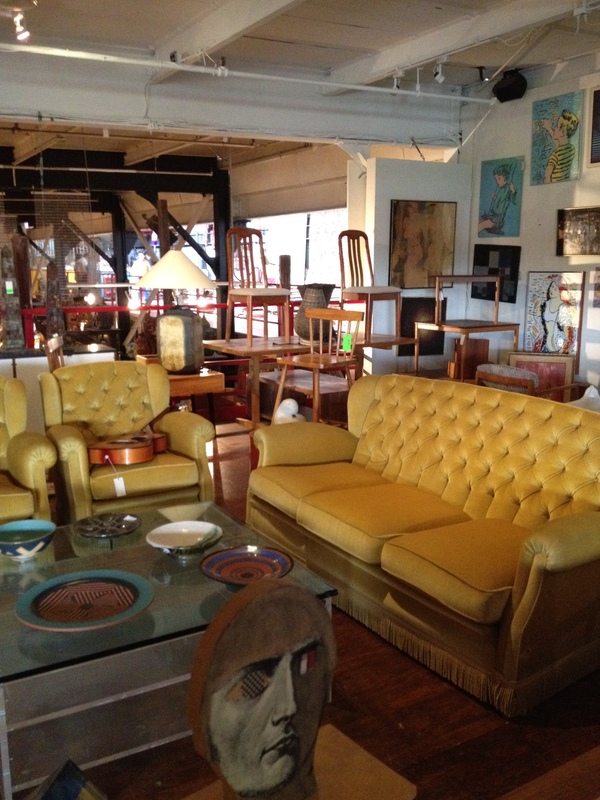 This adventure led me to a place called Material Culture. 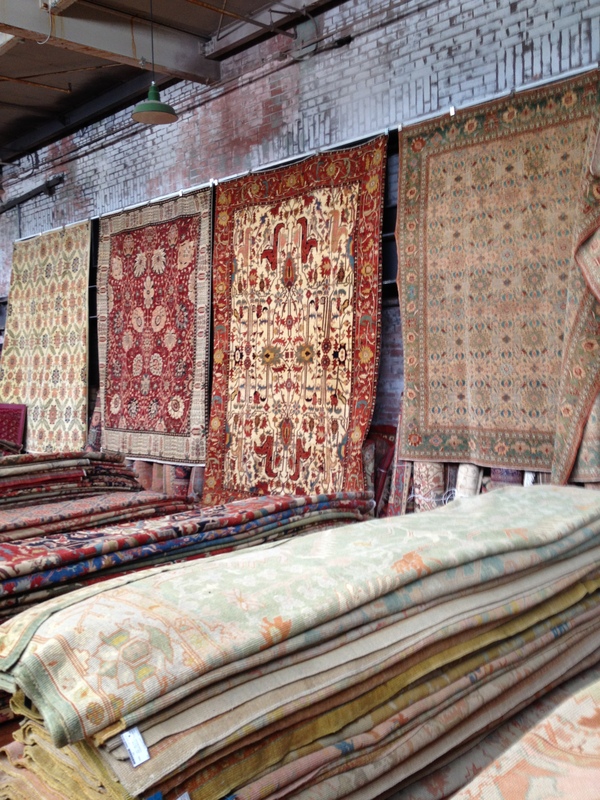 This is not just any store but in my mind an adventure in color, antiques, and amazing rugs from all over the world. 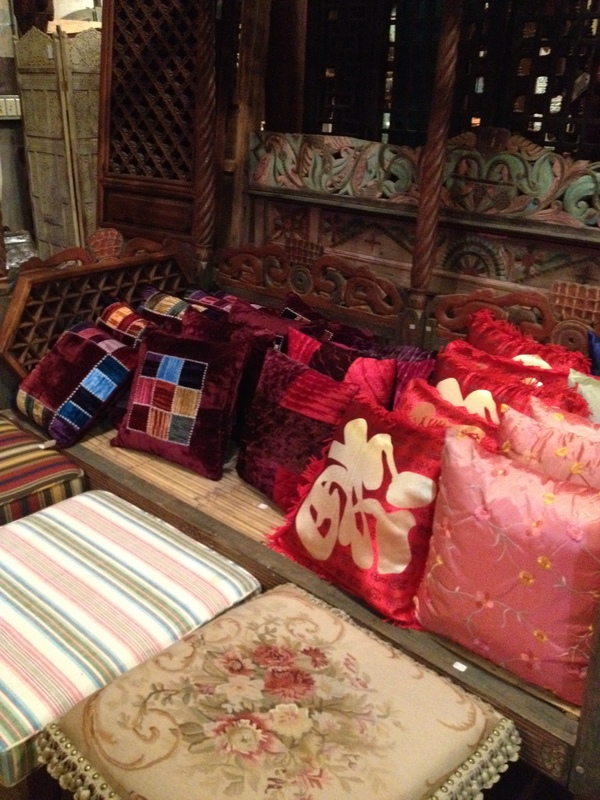 These snap shots are just an inkling of the kinds of furnishings and accessories made available at this store! Feast your eyes on the array of home furnishings delight. Nothing like beautiful accent pillows to complete a space! 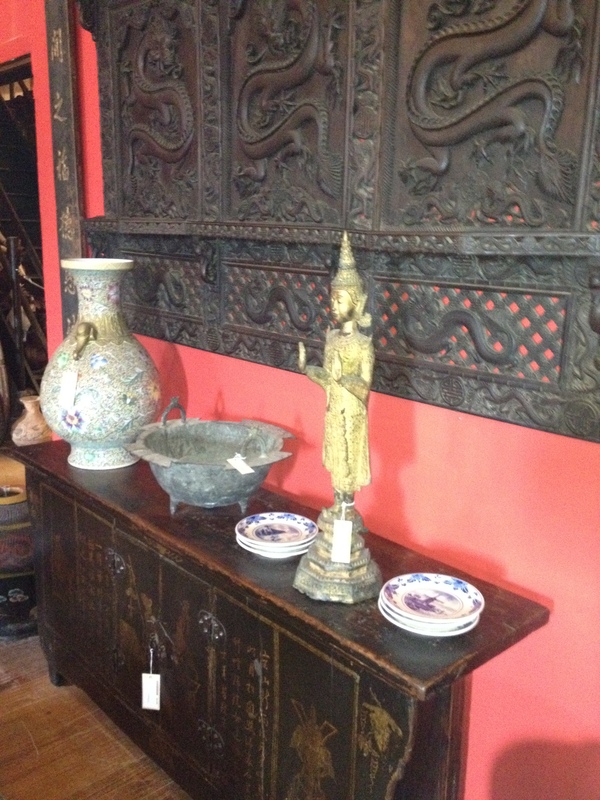 Ethnically diverse antiques and artifacts make great conversation pieces for any room. 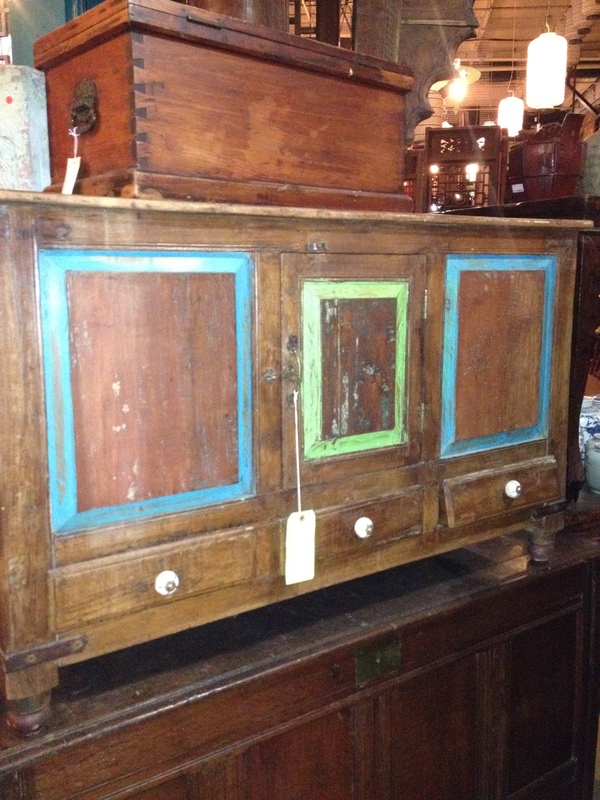 Love these vintage cabinets! Adds great character to any space! Beautiful furniture can be refinished in any way. Note the pairings and eclectic feel. Love the background color. 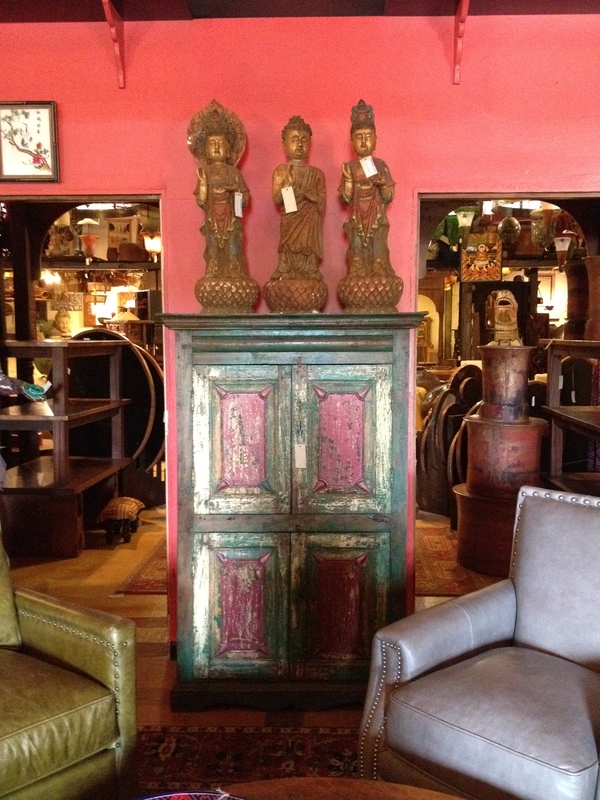 Mixture of ethnic and cultural arts, rustic cabinet and furnishings. 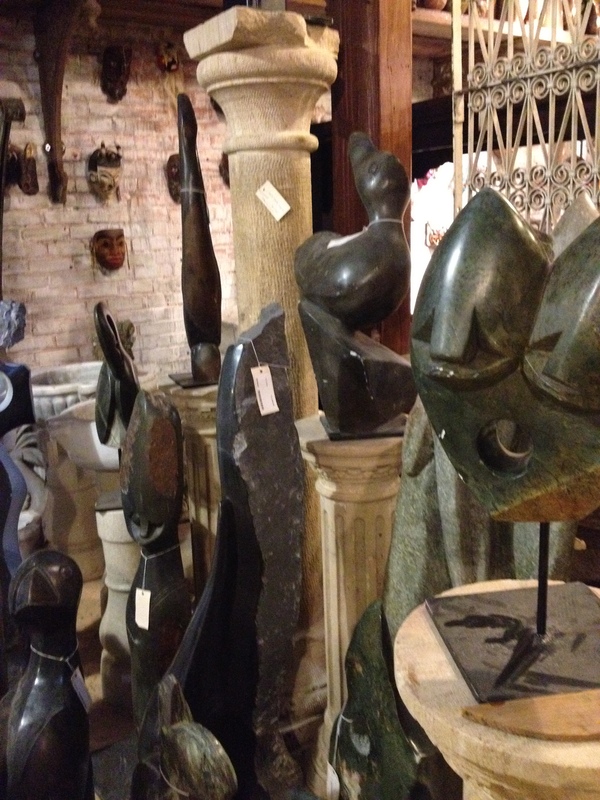 These African Shona sculptures add a great accessory to contemporary or traditional interiors. 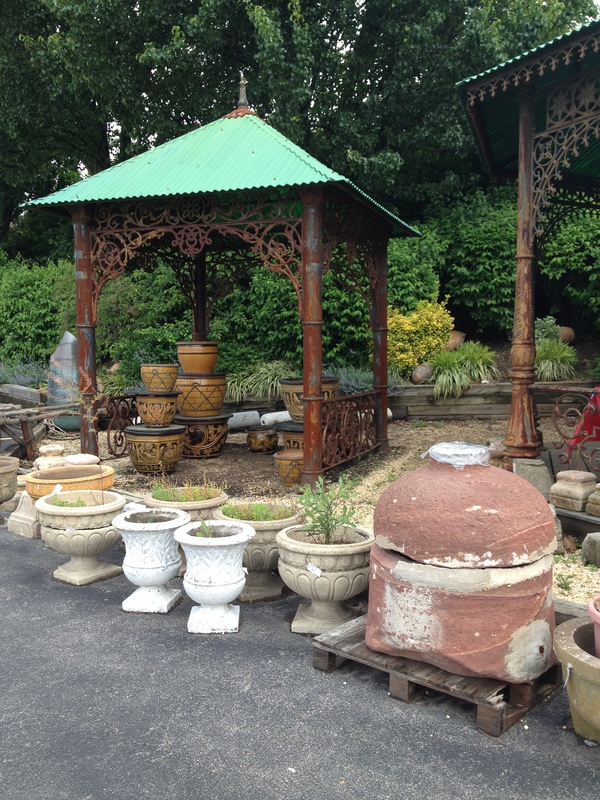 Love the different variety of color and texture these flower pots bring. 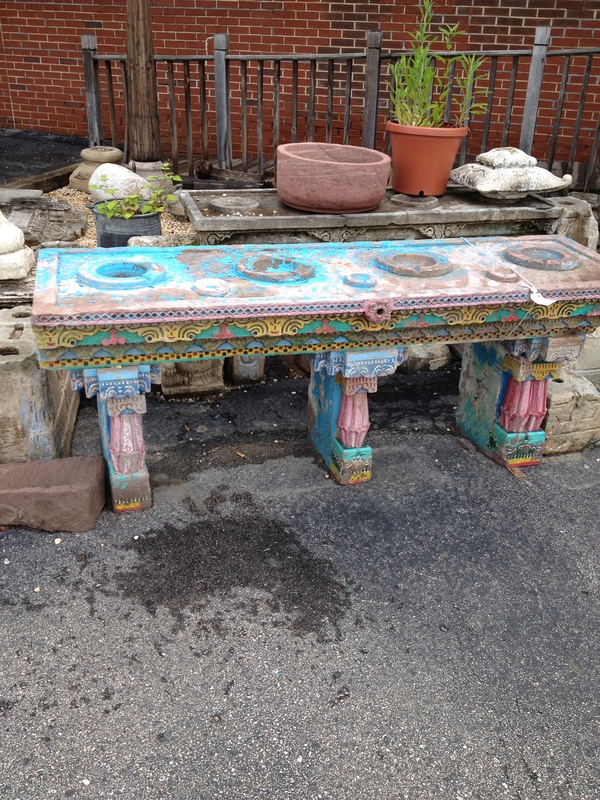 Great outdoor furniture and accessories to brighten any patio! Spring is here in full swing and now we are clearly focused on experiencing our outdoor spaces! Did you know that our outdoor spaces significantly constribute to our wellness? 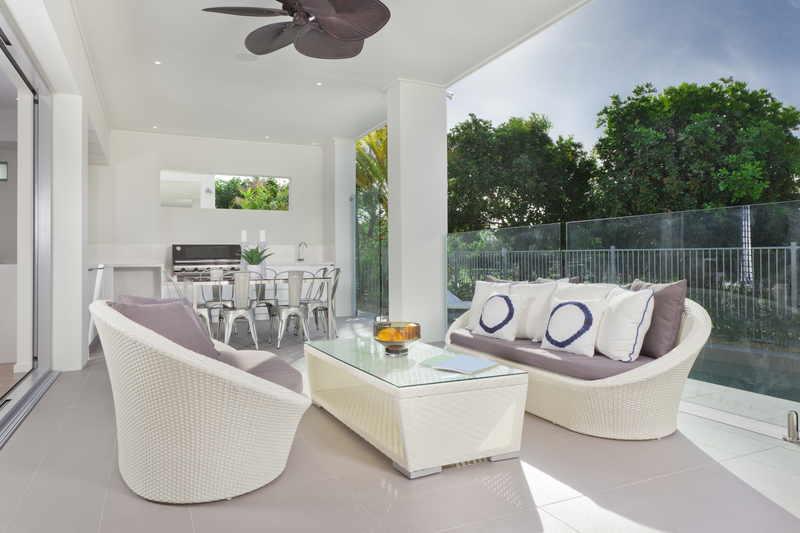 Well-equipped and comfortable outdoor living environments support personal well-being as a lifestyle choice. Outdoor living not only offers a connection with nature, gardens and fresh air, but also the design amenities and the comfort of indoor rooms. Outdoor living environments contribute to your wellness, often defined as physical fitness, exercise, diet and nutrition. However, wellness is so much more. It comprises six dimensions that include the physical, social, intellectual, spiritual, occupational and emotional aspects. Outdoor living may contribute to each of these, providing a sanctuary from the pressures of life, relaxation, privacy, space for entertaining and family activities, nature and outdoor experiences, and exposure to birds and wildlife. Where do you begin to design your outdoor space? The best place to start is to develop a master plan for your outdoor space. Also, get your team together, the landscaper, the designer and others who will create your dream space. Determine your budget and lastly determine how you will use your space. What are the Important Design Elements for Outdoor Living? While putting together these design elements, a balance of color and scale is always best in creating your outdoor space. 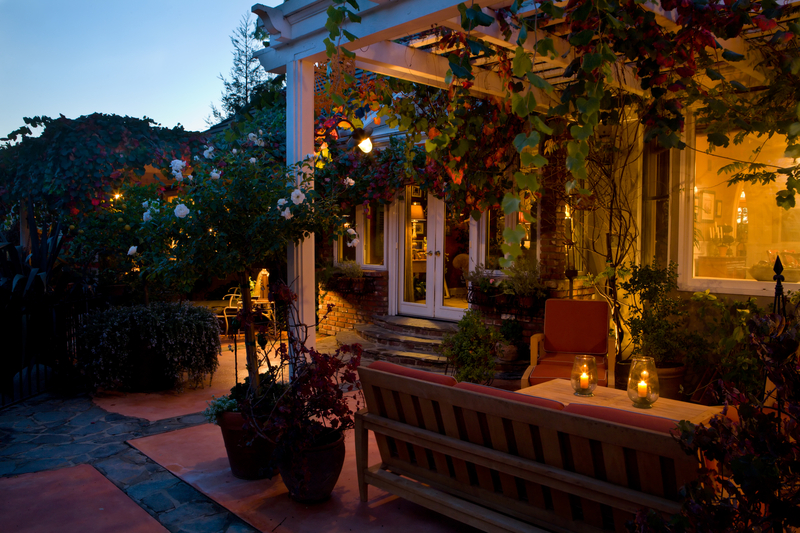 Besides personal wellness, you may also benefit financially from increasing living square footage in outdoor rooms. Designing outdoor environments have been increasingly linked to a great return on investment. For example, a deck addition to your home can recover up to 104.2% of your initial investment. Remember your outdoor space should allow for personal reflection and mental release. 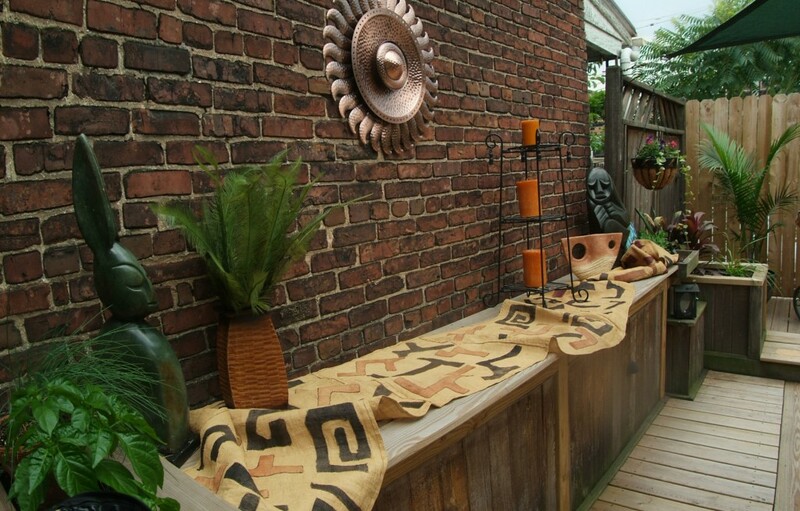 Feed your spiritual and emotional wellness with a well-designed outdoor space.